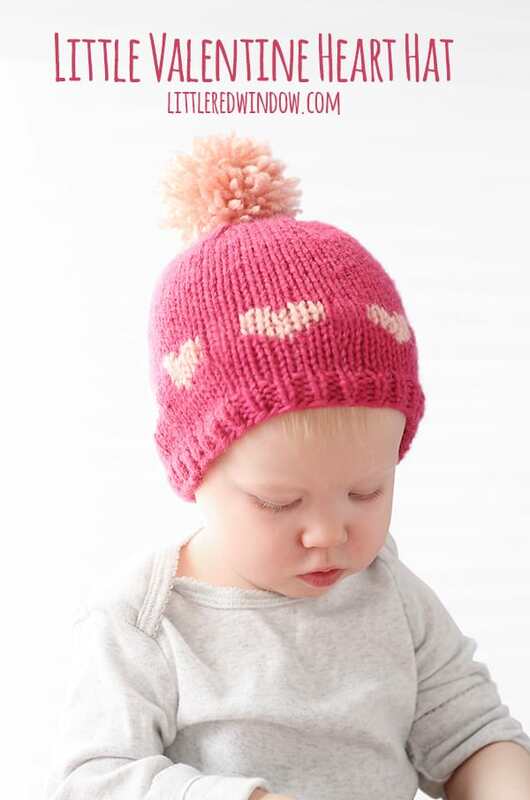 Knit up an adorable Fair Isle Heart Hat with this cute and easy pattern! 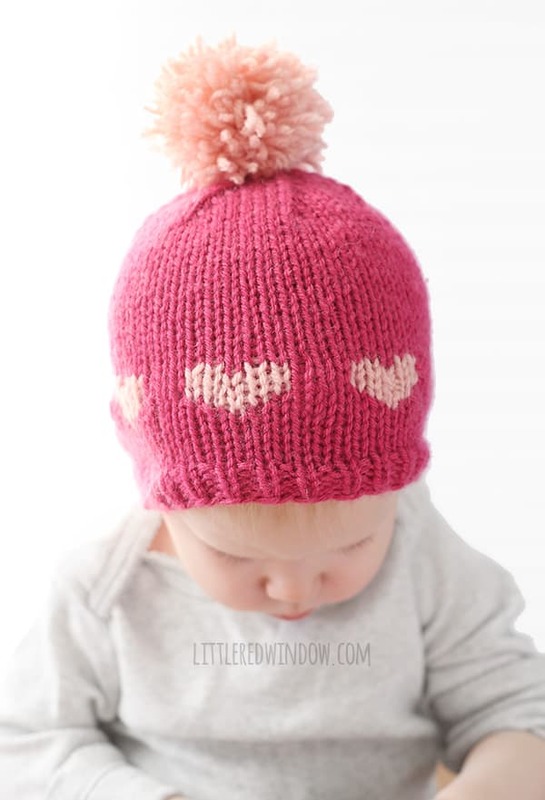 Oh my gosh you guys, I just think this heart hat is the cutest. Adorable heart pattern? Check! Giant fluffy pom pom? Check! I mean seriously. I kind of want to permanently attach it to Baby V’s head! 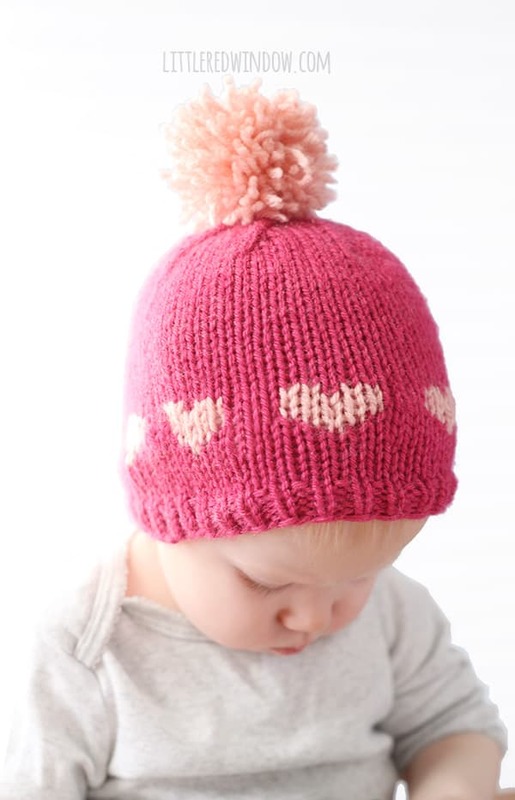 There’s only one key to this pattern, because you’re carrying the unused color behind, if the hat stretches a ton you might see that other color peeking through. 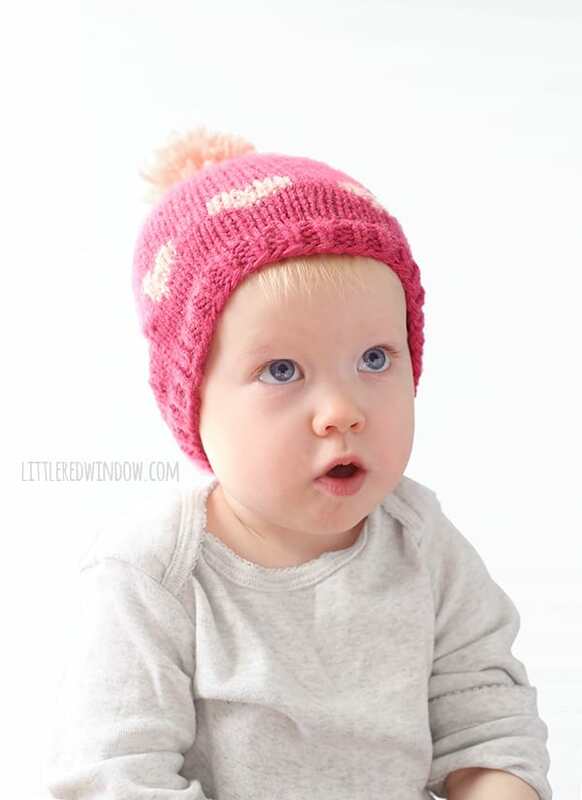 So be sure to size up if your little one is between sizes, and be sure to carry (or float) the unused yarn color LOOSELY behind the work so that it won’t pull when the hat stretches. Got it? Ok! This pattern is available for sale only. (Don’t worry, I still have A TON of patterns with free versions available!) I know, I know, in an ideal world, I would give you everything free always! I wish I could1 But I hope you’ll all understand that I have to find a balance between providing tons of free content (the vast vast majority of projects and tutorials on my site are completely free!) and paying the bills. So for the price of a cup of coffee you’ll get an instant download PDF pattern, in two nicely formatted easily printable pages that includes written instructions and a chart as well as a second page of reference step by step photos which you can print (or not) depending on whether you need them. This pattern is available in my Etsy shop or on Ravelry where it will also be permanently stored in your Ravelry pattern library.